HAILEY, Ida. 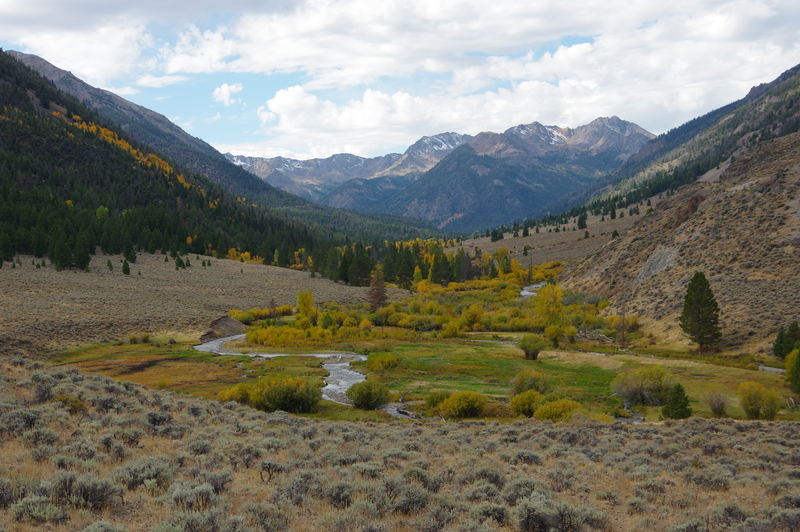 – Western Watersheds Project yesterday entered into a settlement agreement with the Forest Service that gives salmon, steelhead, and bull trout spawning habitats in the upper East Fork of the Salmon River a chance to recover from the impacts of livestock grazing. The settlement resolves litigation challenging violations of Endangered Species Act requirements on two national forest grazing allotments. The allotments are within the acclaimed Sawtooth National Recreation Area and they overlap with the new White Clouds Wilderness. The agreement guarantees that there will be no domestic livestock on the Upper and Lower East Fork allotments in 2017 or 2018, and no livestock will be allowed to return until stream health standards for trout and salmon are fully met. This will stop the bank trampling, removal of streamside vegetation, and associated shallower, warmer and more turbid waters, and give the salmon, steelhead and bull trout of the East Fork a desperately needed leg up on survival. The Forest Service must also reassess whether any livestock grazing should occur on these sensitive habitats in the future. The lawsuit alleged that standards set for the recovery of Spring-run chinook, steelhead, and bull trout, which are protected under the Endangered Species Act, were being violated as a result of environmental damage caused by cattle on Forest Service lands permitted to private ranchers for livestock grazing. In addition, cattle repeatedly grazed in closed areas or during seasons where grazing was not permitted. Good news! Our iconic fish are just as much loved as grizzles and wolves and elk, and I feel get forgotten. Many thanks!!!! It would be really nice to take (and share) good “before” and “after” photos to demonstrate how the rest from livestock grazing has rejuvenated the stream and riparian zone of the creek. Thanks for the link, Nancy. I have seen the case study of this refuge before, and it is an excellent illustration for how cattle removal can improve ecosystem health. One might argue that the effects took so long to see because the area is high desert in Oregon. I think it should take less time in this case because precipitation levels are probably higher in this region of Idaho. Regardless, having more case studies from different regions provides good stories and strengthens the case for cattle removal on public lands. I certainly agree that there should be careful follow-up, especially photo plots and utilization surveys in the riparian zone. Unfortunately the agencies probably won’t do that because once the cows are gone they think those things are no longer their responsibility. It will be especially important in this case because I believe the feral horse population on this allotment is several times above objective. This would be a good opportunity for local NGO chapeters to do some citizen science to undertake exactly what you propose. Good news indeed ! I’m proud and thankful for the good hard word done by Laurie, Kristin and all the others involved, but what happens when livestock are allowed back in ? The post states : “no livestock will be allowed to return until stream health standards for trout and salmon are fully met”. In just a a couple weeks, cattle can trash and undo years of recovery. I’ve seen more examples ot that than I care to admit on the Beaverhead and Salmon national forests and on BLM ground in Idaho and Montana.